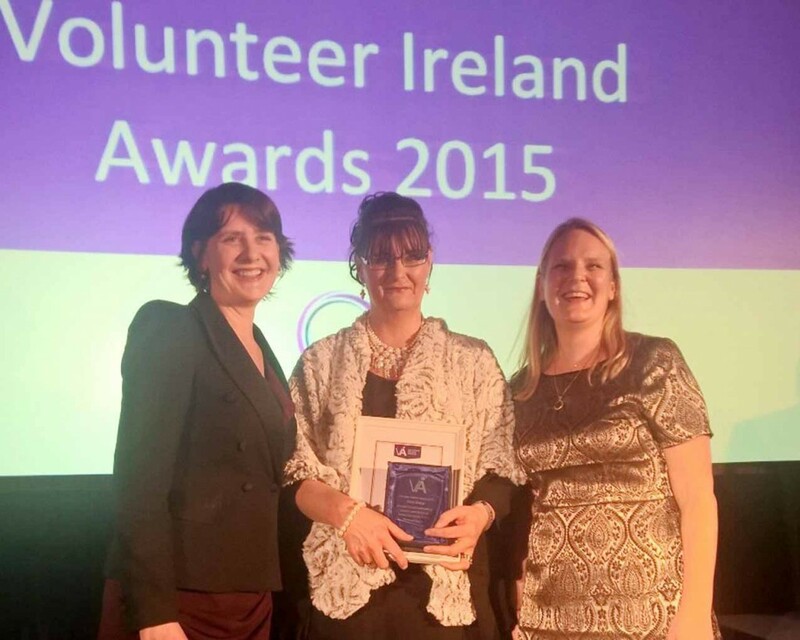 From over 31 exceptional volunteers, 11 winners have been selected for this year’s Volunteer Ireland Awards including 2 from County Wicklow. 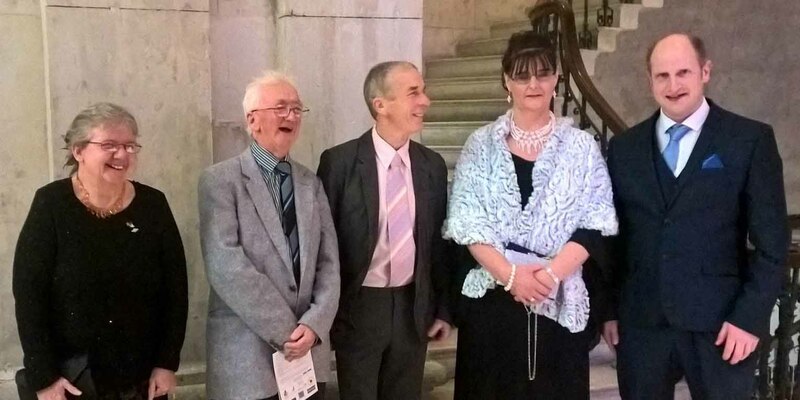 The awards were presented at a special ceremony in City Hall, Dublin on 2nd December. 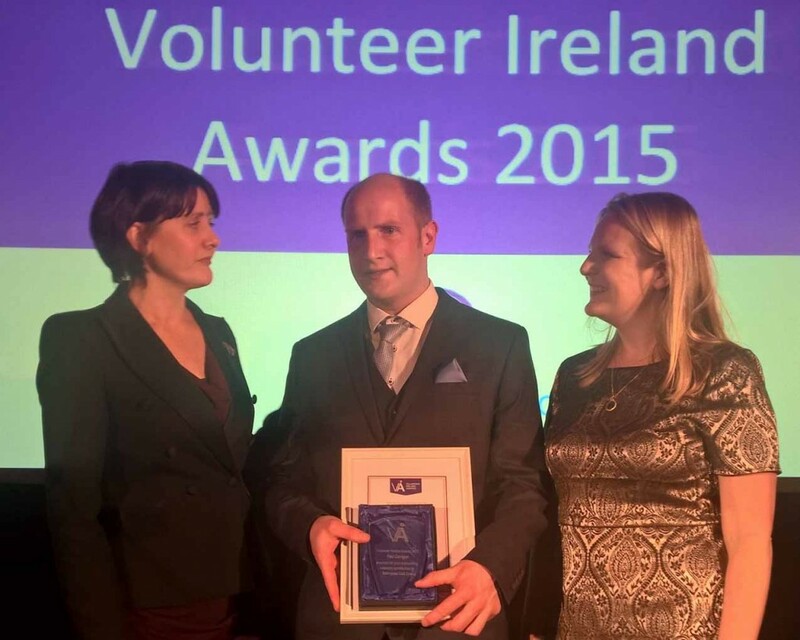 Paul Garrigan won in the Sports and Recreation category for his volunteer work with Balinglass Ladies GAA. In 2006 Feile Peile na nÓg came to Wicklow and Paul Garrigan had the vision, passion and commitment to look at affording the girls of Baltinglass GAA the opportunity to form a girls U14 team, allowing them to take part in the national football festival like their male counterparts. This was the first time for the Baltinglass GAA club to field a juvenile girls’ team. Paul’s impact was to bring equality for females in the club. Paul hoped that one day a Baltinglass U14 girl’s team would win the county Wicklow Feile competition and in 2009 the girls completed a treble, winning the U12/U14/U16 County titles. Paul then turned his attention to the senior side who have achieved great success thanks to Paul’s commitment culminating in an All-Ireland Sevens title in 2013. Hilary Sharpe founded Arklow Community Resource Centre, a centre which is entriely volunteer run with no Government funding, four years ago. Hilary is the secretary and treasurer of the centre. The centre runs many different activities from women’s and men’s clubs to supporting some homeless clients with clothes, food, showers etc. and Hilary is involved in everything. Not only does she bake for the drop-in centre each week, she and a friend deliver food to local families four nights a week – sometimes thirty families a night. Hilary was awarded in the Social Work category.